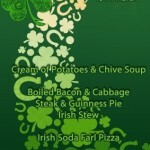 You are here: Home » News » St Patrick’s Day Feast! 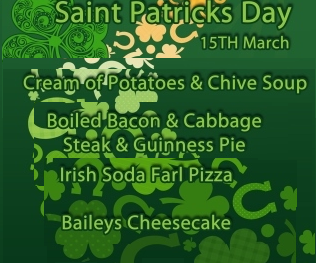 The canteen are providing their 5th ‘Themed Lunch Menu’ of the year. Tasty and wholesome traditional dishes freshly prepared & full of goodness. 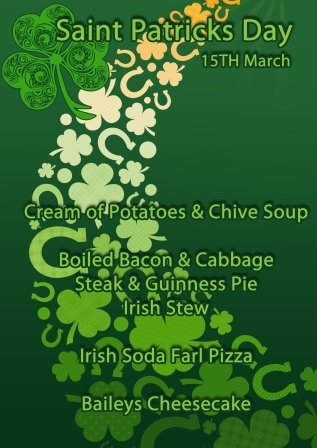 Don’t miss out on Tuesday 15th and celebrate St. Patrick’s day early!